I think I’m starting to see a trend taking shape this year, divers with dates, divers with big dates. 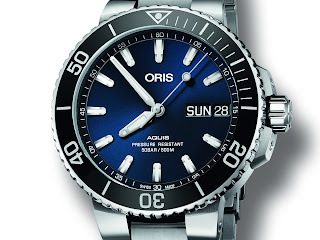 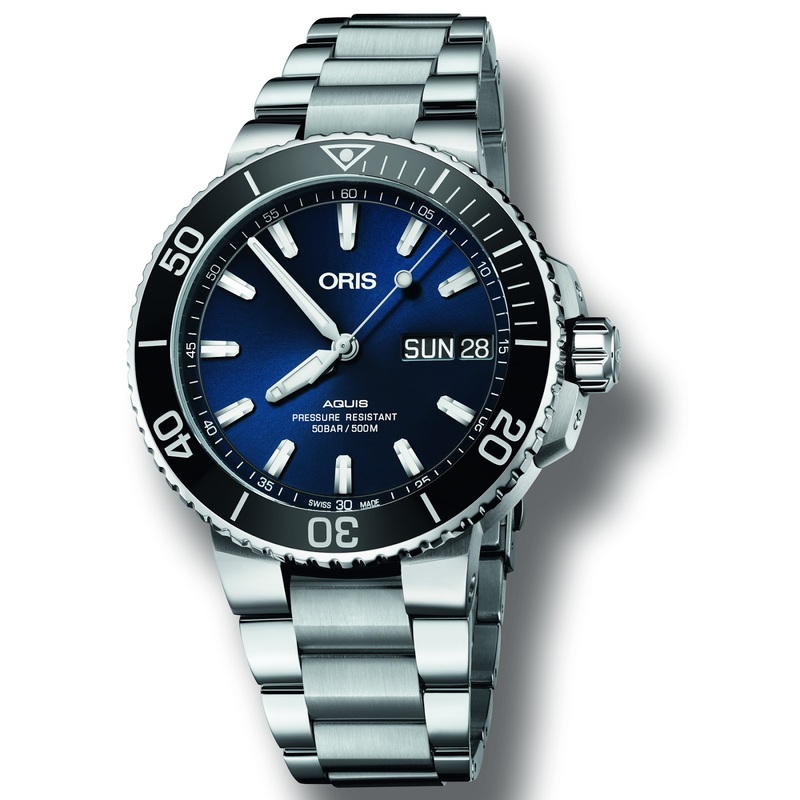 Here’s Oris’s answer to the big date question. 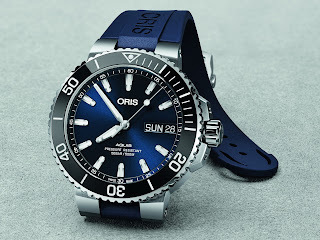 The new Aquis Big Day Date is a good-looking diver’s watch offering a high level of performance and appeal to anyone who might otherwise need reading glasses. 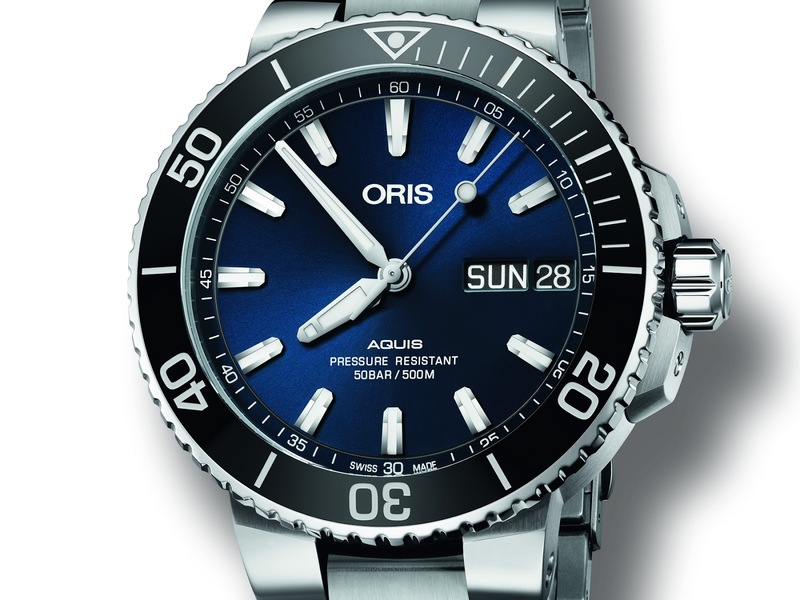 The current Aquis line was recently re-designed to be more streamlined, so that it offers excellent dependability under the sea, but is nice and comfortable under a shirt cuff. The new Aquis models have a small gap between the case and bezel that has been carefully engineered so that it’s easier to grip and adjust its unidirectional rotational diver’s bezel. a Swiss Made automatic movement with said oversized day and date indicator, and the choice of either a dark brown leather strap, a blue or black rubber diver’s strap, or a shiny Stainless steel bracelet. The watch has a Swiss retail price of 2000CHF on a strap or 2200CHF on a Stainless steel bracelet with divers clasp and wet-suite extension. 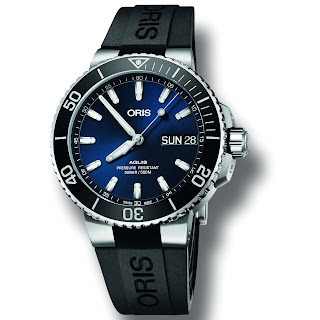 What are your thoughts on dive watches with big day / date displays; a necessity as old age approaches or a bloody eyesore?